Top seeds, France ‘A’ thoroughly justified their status to win both the Cadet Boys’ Team and Cadet Girls’ Team titles at the 2016 Czech Junior and Cadet Open in Hodonin on Saturday 11th February. Bilal Hamache and Dorian Zhang won the former, the latter finished in the hands of Prithika Pavade and Camille Lutz. Furthermore, not only did France secure Cadet Boys’ Team gold, also they won silver; France ‘B’ represented by Jules Cavaille and Myshaal Sabhi, the no.3 seeds, concluded matters in runners up spot. A three-nil victory margin was the outcome; Dorian Zheng accounted for Myshaal Sabhi (11-9, 11-8, 12-10), Bilal Hamache overcame Jules Cavaille, before a full distance doubles win ended matters (12-10, 5-11, 7-11, 12-10, 11-8). Bronze medals finished in the hands of Germany. At the semi-final stage Germany ‘B’, represented by Mike Hollo and Felix Wetzel experienced a three-one defeat at the hands of Bilal Hamache and Dorian Zhang. Meanwhile, Germany ‘A’ with Cornelius Martin and Daniel Rinderer in action found Jules Cavaille and Myshaal Sabhi in fine form. A three matches to nil defeat was the verdict. The third step of the podium for Mike Hollo and Felix Wetzel but it was a finish beyond expectations; neither possesses a current World ranking. Most certainly it was a quite remarkable debut. 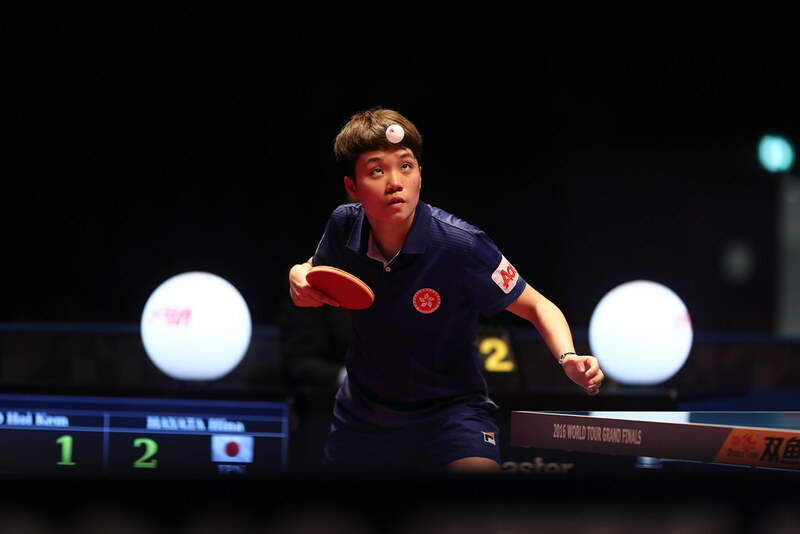 No great moments of drama for France ‘A’ in the final of the Cadet Boys’ Team event; it was somewhat different in the counterpart Cadet Girls’ Team competition. Camille Lutz and Prithika Pavade needed the full five matches to overcome the second seeded Korea ‘B’ Team pairing of Byun Seoyoung and Jung Dabin. Byun Seoyoung proved the thorn in the side of the French. She beat both Camille Lutz (7-11, 7-11, 11-6, 13-11, 11-6) and Prithika Pavade (11-2, 9-11, 11-5, 11-3). However defeats for Jung Dabin against Prithika Pavade (11-8, 11-3, 3-11, 11-8) and in the concluding match of the fixture in opposition to Camille Lutz (11-9, 12-10, 11-13, 11-8), plus a doubles defeat (9-11, 11-5, 11-9, 11-6) ended Korean hopes. Earlier in the penultimate round, Camille Lutz and Prithika Pavade had beaten the Hungary ‘B’ Team duo of Veronika Menko and Viola Phan; Byun Seoyoung and Jung Dabin had defeated the France ‘B’ combination of Isa Cok and Lou Frete.